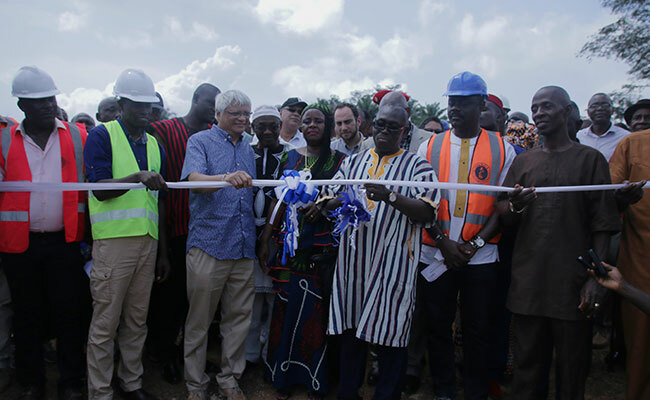 On November 28, 2018, community officials, the Liberian government, and officials from the U.S. Agency for International Development (USAID) celebrated the dedication of the Sanniquellie City water treatment plant. As part of the USAID Liberia Municipal Water Project (LMWP), Tetra Tech designed a solar-powered water treatment plant and public distribution system, placing kiosks within 500 meters of homes to reduce the time families spend collecting water to under 30 minutes. This is one of the largest solar-powered treatment plants in Liberia and West Africa. 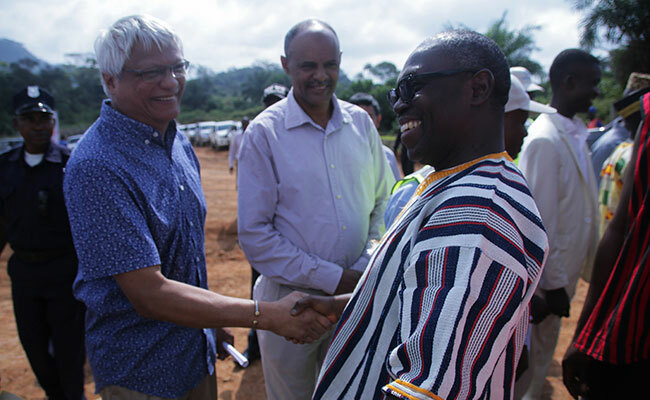 The dedication ceremony was a symbolic hand-off from USAID to the Liberia Water and Sewer Company (LWSC), showing the community that the new water system will sustain their need for clean water for years to come and provide them the basic human right they deserve. Tetra Tech will continue to provide operation and maintenance oversight for the next two years to ensure the success of the plant. "This project today turned around 90 percent of our citizens from drinking unsafe water to drinking safe water, so we are grateful." Tetra Tech involved the community from the first day of work on LMWP. From performing a needs assessment to boosting water consumption and sales, the community led the project development. Tetra Tech also formed local steering committees (LSCs) with 10 community members representing each subculture. The community will continue to play a dynamic role in the longevity of the project. The LSCs have signed on to monitor and evaluate the private operator’s ability to maintain the facilities. The LSCs provide a third layer of checks and balances between the public-private partnership, safeguarding USAID’s investment, inhibiting further corruption, and ensuring long-term self-reliance. “This process is key for the water sector to reach self-reliance, because it’s targeting sustainability, the hallmark for the project,” said Safaa.